Initial Public Offerings provide a very good opportunity for investors to enter into high growth companies early when they come to Capital Markets for the first time for raising funds. 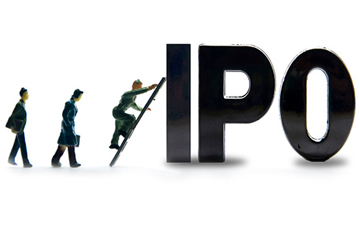 ARHAM GROUP provides complete transaction support to investors for investments in primary markets through IPO's. The research team offers guidance to investors to invest only in fundamentally sound IPOs. At ARHAM, we do rigorous analysis of quality IPO's, prepare research notes and recommends them for our clients to invest in. We carefully analyze the Company's track record, the reason to raise money and its business plan going ahead. "Prevent Unauthorized Transactions in your demat account --> Update your Mobile Number with your Depository Participant. Receive alerts on your Registered Mobile for all debit and other important transactions in your demat account directly from CDSL on the same day......................issued in the interest of investors." "As required under circular # SEBI/MRD/SE/Cir-42/2003 dated November 19, 2003 issued by the Securities and Exchange Board of India; we hereby disclose that in addition to Client base Business, we are also doing Proprietary Trading"
Arham Share Consultants Pvt. Ltd.